This item directly replaces your ammeter. 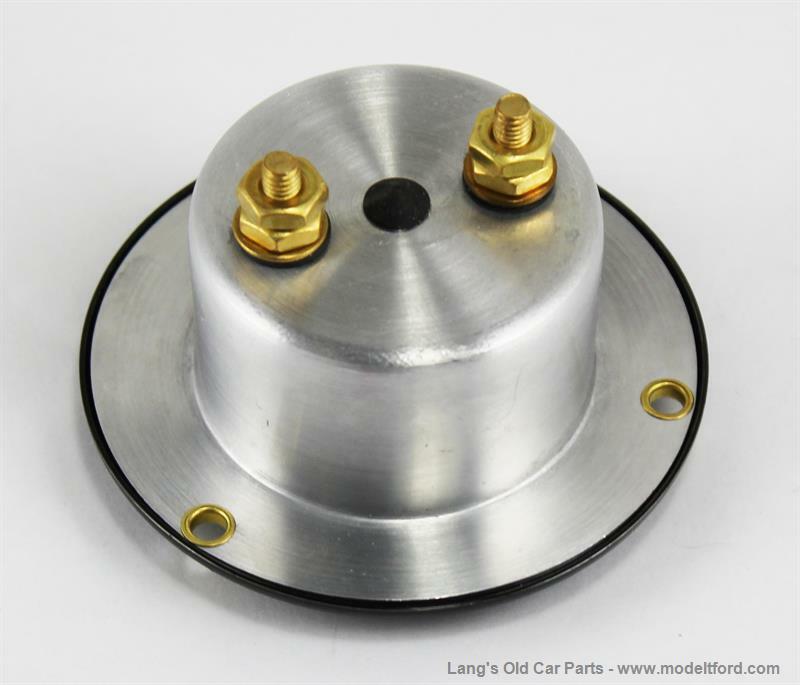 It retains the fit and look of the original ammeter while allowing monitoring of the battery or charging voltage. 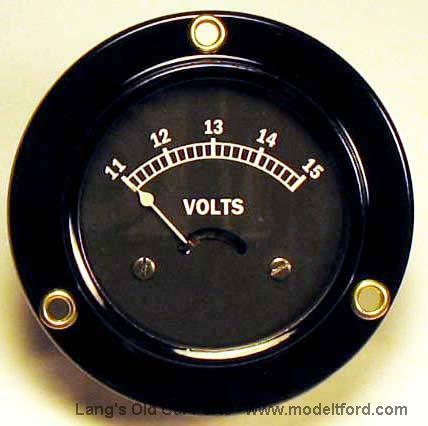 The cases on these voltmeters are built exactly to Ford dimensional drawings thus they will fit into any existing 1919-1925 Ford Ammeter opening. 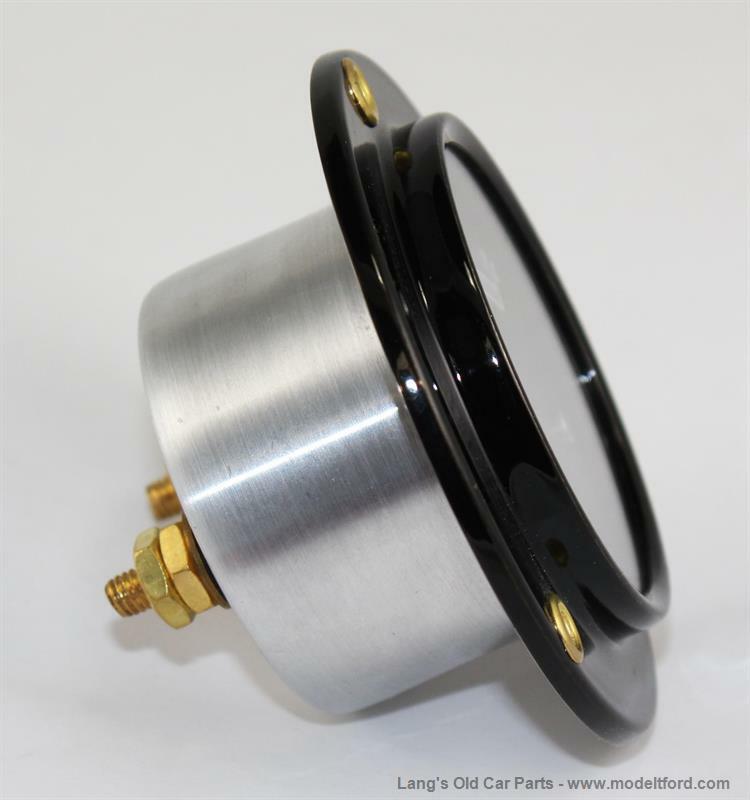 They feature 1.5% full scale accuracy and use the same "steady as a rock" D'Arsonval meter movement as our proven rugged ammeters. These voltmeters are designed primarily for use with Alternators or heavy duty generators where the charging current supply is greater than 20 amps. Expanded scales allow a greater reading accuracy over the voltage range of interest.